A collection of eagle checks provides a way to either state your patriotism or your simple love of Nature. America's national emblem, the bald eagle, is among the largest and most powerful of the country's avian species and a chance sighting of one or more is a memorable occasion for those who love birds. Majestic in flight, these masters of the skies are among the most-often portrayed members of the bird family. Among these checks that offer many versions of eagles is a contribution of the National Wildlife Federation, which has long championed the cause of conservation for this and other species. Close-ups of the white-capped bald eagle with its hooked beak and intense state show where the expression "eagle-eyed" came from. Choose your favorite and let check-writing take flight. Did you know you can save up to 70% off standard bank check prices when you order checks online from Value Checks? Plus, our high quality check printing machines also offer the best check security. With easy online ordering, your Eagle checks will come to you through the mail. 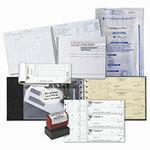 Enjoy many bird checks in matching checkbook covers and address labels.